In spite of all the new marketing techniques that have gained popularity in recent years, email is still one of the best ways of providing a call to action to potential customers and raising brand awareness. Crafting excellent content that people will want to read is only half of the battle, though. It is recipient data that will be the truly pivotal factor in your email marketing success – it would be better to have a list of 30 brand-loyal individuals than 3,000 uninterested ones! Incentivising participants with competitions advertised through social media, Thunderbolt has been able to capture the details of loyal brand advocates for our clients, as well as using follow-up campaigns to keep them coming back for more. Our campaigns regularly get open rates of over 50%, far above the industry average. To hear all about the ROI we can offer your business through email marketing, get in touch with our team today. 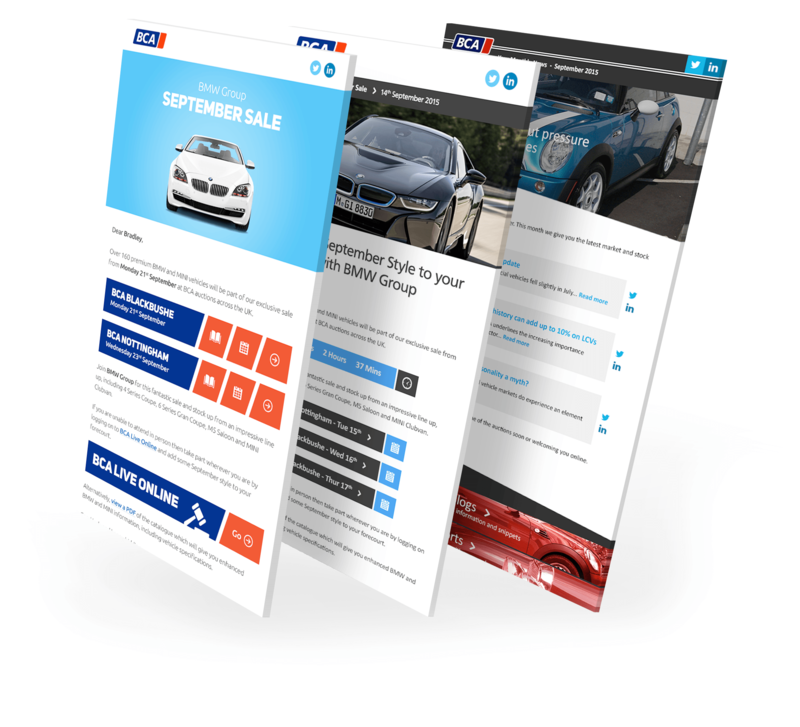 British Car Auctions (BCA) has been bringing buyers and sellers together at auctions for all types of cars for over 70 years, and these years of hard work has led to them earning the well-deserved title of Europe’s largest vehicle remarketing company.